As the population of the planet continues to grow, the ability to produce enough food is a continual discussion. Not only are we busy finding ways to make enough of the right kinds of foods to sustain the masses, but we’re simultaneously investing in opportunities for the backyard (or living room) gardener to grow their own foods. With an urban lifestyle in mind, start-up Benditas Studio has created a lamp that doubles as a vegetable garden. Brot, a dual functioning lamp and garden, made its inaugural appearance at the Stockholm Furniture Fair in February in the “Greenhouse” category as a debut piece from duo Caterina Vianna and Ferran Gest, self-proclaimed food and design lovers. 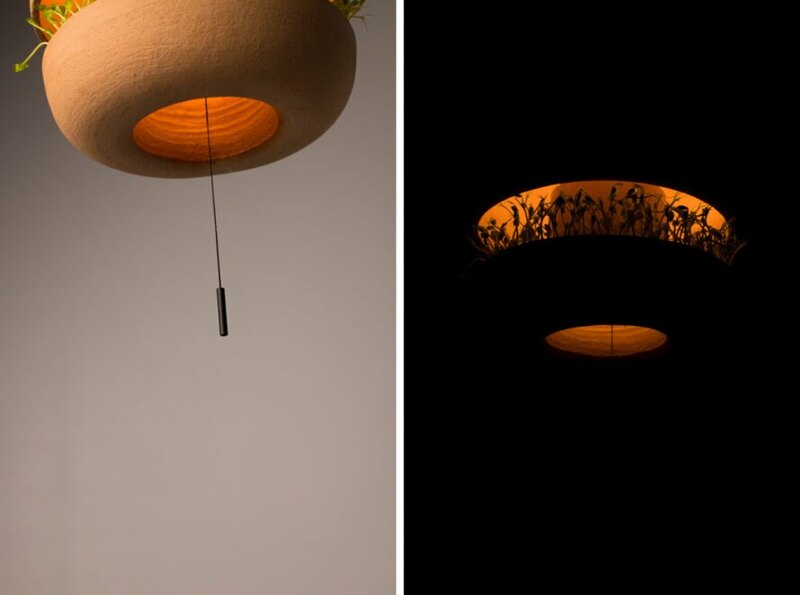 The terracotta material of the lamp brings a natural feel to the space and a supportive element for the growth of the seeds inside. The bottom of two pieces contains a stainless steel tray to hold the plant. Different seeds are available, but the process is the same for them all. Simply soak the seeds for the specified amount of time, and then place them into the tray and moisten them two to three times per day. Produce like sprouts are ready to eat in as little as four to six days. The heat and light from the lamp in the upper piece furnishes warmth for the seeds while providing ambient light for the surrounding space. The Brot is not yet for sale, but the company hopes to find a production facility soon. 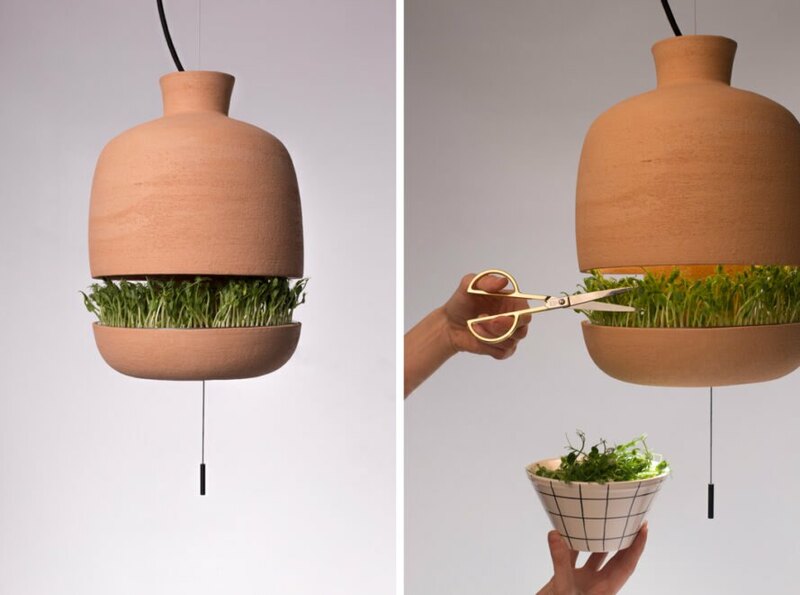 Benditas Studio has created an innovative lamp that also grows food. 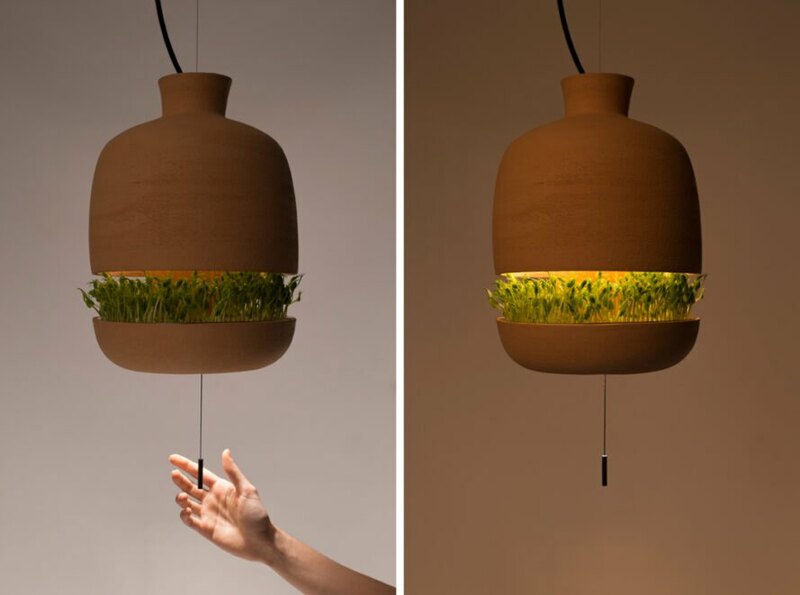 The lamp combines beautiful design and urban gardening. The indoor garden features a terracotta exterior similar to traditional plant pots. Brot emits a warm glow that will complement any interior design. The lamps are not yet available for sale.